You can upload a well formatted Word document to CreateSpace for print on demand, but if you’re picky about layout we recommend the following filetypes that will work well with the various retailers. 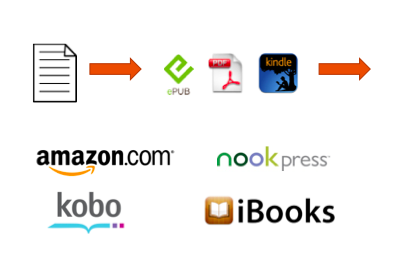 Most ebook retailers follow the EPUB standard. MOBI is Amazon’s proprietary format. It’s best practice to upload a MOBI for sale on Amazon for ebooks. Print Ready PDFs are needed if you are doing a print version of your book. The PDF you create can be used for any type of printing. Createspace lets you upload Word documents, but we recommend converting it to a Print Ready PDF so you know exactly what your book will look like.